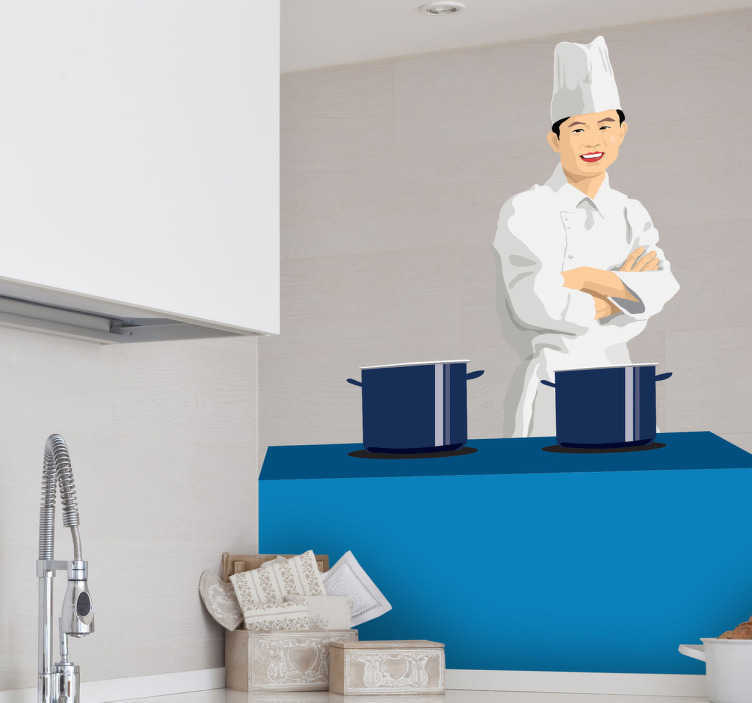 A brilliant kitchen sticker illustrating an Asian chef that specialises in oriental food. Decorative vinyl decal to give your kitchen a new look! Is your kitchen empty? Do you want to cover those empty spaces with a fun design? If yes, you have come to the right place!